Size: 1½ in. by ¾ in. Desc: 14kt. 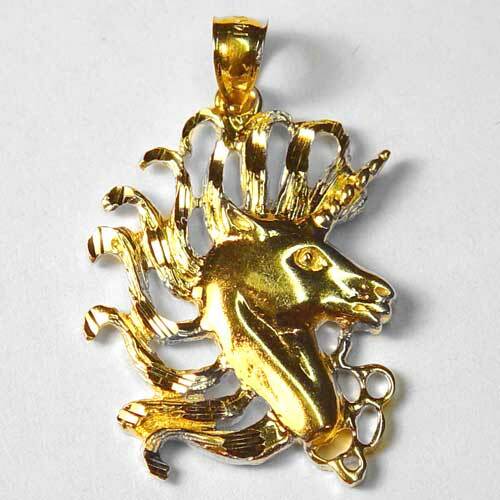 yellow gold unicorn head pendant with flowing mane.